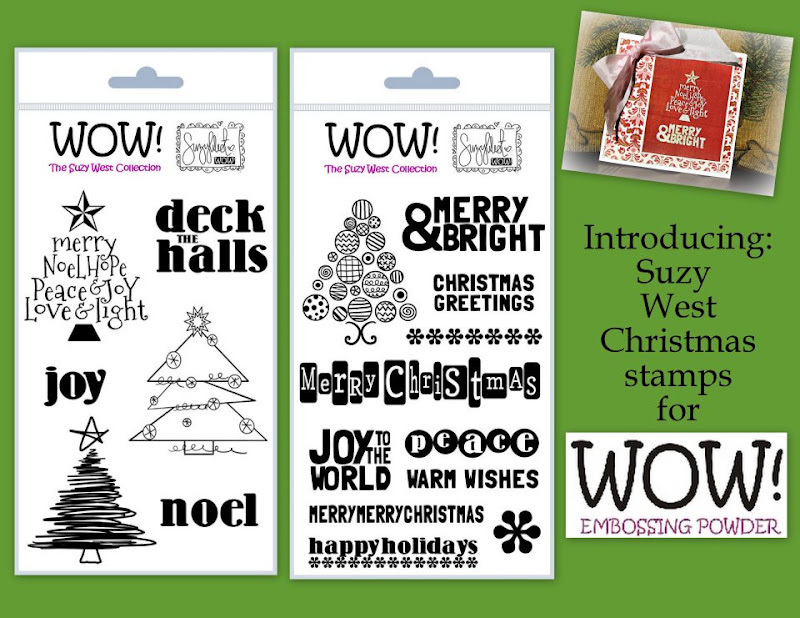 I hope you will join me in celebrating World Card Making Day with WOW Embossing powders. With the cooler temps now, I'm thinking of winter already. Not to rush anything but I'm dreaming of twinkling lights and softly falling snow. So, to celebrate this day I'm sharing this card with you! The dots made me think of snow falling and thinking of someone special! 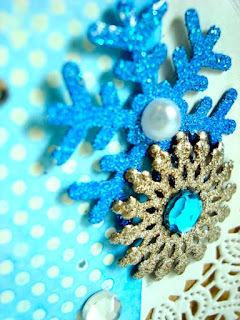 I used some new WOW border stamps and sentiments along with Matte clear, Metallic Platinum, and Bodacious Blue Glitter WOW Embossing powders and Faber-Castell Gelatos! WOW will be giving away 4 prizes in total: 2 sets of Christmas stamps and 2 sets of 12 packs. To be eligible to win a prize all you have to do is come comment on the WOW blog post. Thanks for visiting and if you share a card link with me today, I have a little prize for you! I'll send you a set of Gelatos if I randomly choose your name! 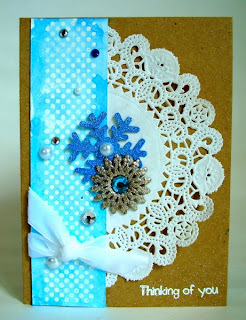 Don't forget to link up a card here and visit the WOW blog for a 2nd chance at a prize! Great Card!!! Love your creativity! Cute cute cute - you and the card! WOW! embossing powders Make a wish stamp set is my favorite . Great card, Jen! I'm making some, too. Great card! I just found you through Helmar's site and am looking forward to seeing what you create as part of their DT. Congrats and welcome! Updates AND Some Exciting News!